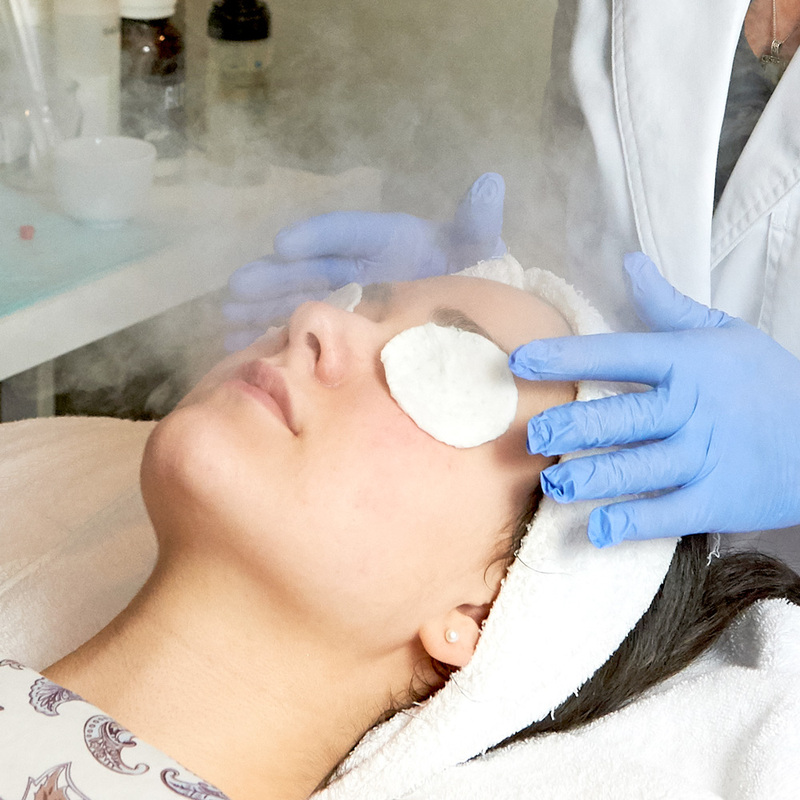 Our signature clinical facials all include skin-type appropriate deep pore cleansing, extractions and exfoliation. These facials offer all the rejuvenating qualities of a spa-like European facial, but at CRD all facials include a full clinical skin care analysis. Everyone should get facials to maintain healthy looking skin and fight the aging process. It is as important as going to the dental hygienist to get your teeth cleaned. Regular facials unclog pores, remove dead cells and blackheads, improve your skin’s texture and tone, and can reduce acne scarring. Depending on your skin care concerns, frequency of facial treatments typically ranges from every two to six weeks. If you want to maintain a youthful appearance, do not neglect your skin! As we age, skin becomes dehydrated, losing collagen and elastin. Over the years, cellular renewal diminishes leaving skin looking dull and dehydrated. Facials, combined with in-office treatments, speed up cellular renewal, reduce fine lines, and stimulate collagen production to plump and firm skin naturally. 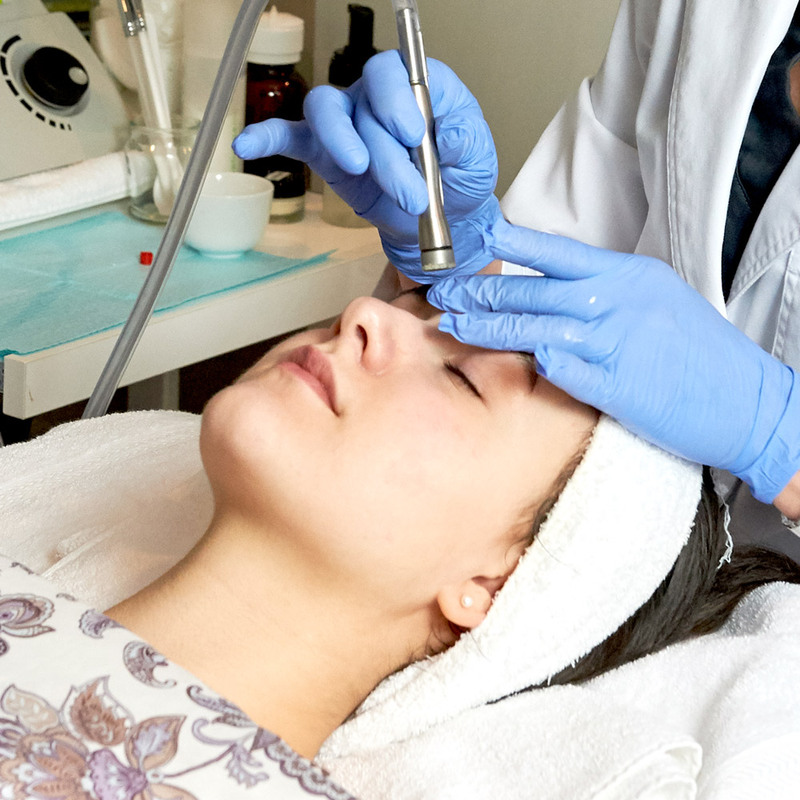 The latest technologies incorporate peeling agents, DermaSweeps, ultrasonic treatments, and microneedling (collagen induction therapies with PRP). Good skin care practices should start at a young age. Unfortunately, many of us have spent our adolescence in the sun without proper use of sunscreen, resulting in damaged skin. The good news is, it is never too late to improve the appearance of your skin. We are here to help restore that youthful radiance that keeps you looking and feeling your best. It’s amazing what consistent in-office treatment can do for the health and look of your skin. A customized, deep pore cleansing and exfoliation treatment with steam that addresses comedonal congestion and restores balance to your skin. Personalized masques and antioxidants nourish and hydrate, revealing radiant healthy skin. Great for first-timers. Combines a deep pore cleansing, exfoliation with steam, and a relaxing facial massage with emphasis on repairing sun damage and dehydration in mature skin. Topical antioxidants, hyaluronic acid, and a customized masque are applied to restore moisture and repair damage, leaving skin refreshed and renewed. This specialized acne treatment combines our signature clinical facial with DermaSweep infusions. All organic, paraben-free serums nourish the skin and penetrate more deeply when infused with DermaSweep than similar compounds applied topically. This combination is very calming, speeds healing and can significantly reduce redness. A detoxifying treatment that is recommended for teens and adults with blemish-prone skin. Applied infusions will reduce inflammation, soothe skin, clear pores of congestion, reduce further breakouts and balance oil activity. Skin is drenched in a warm, luxurious, paraben-free blend of organic soy, jojoba, palm, shea butter, and vitamin E oil to nourish and restore hydration to the skin. Warming mitts and booties are applied to enhance this relaxing and restorative treatment.